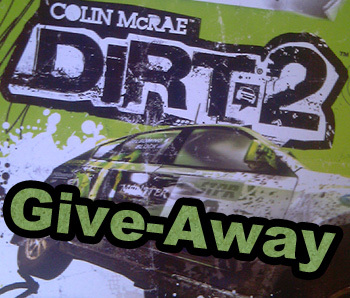 Today I got a coupon for Colin McRae Dirt 2 from AMD. Due to me already having that game for ages on steam, I decided to give it to one of my loyal software users. I only have one coupon, so I have decided to give it away to the person, who makes the best review of one of my software. You may use text, pictures and videos. If you like, you can create a review for more than one of my apps. Please don't just compliment my work, I want to know what I can make better, if everything is perfect I cannot improve anything. Just post your review(s) here in this thread, the deadline for getting your review in is the 20th August 2010 20:00 UTC+1. The winner will be announced after I have read all the reviews (I think that will be at the end of August) and will get the Steam key for the game via PM/E-Mail. Last edited by SciLor on Fri Jul 23, 2010 1:40 am, edited 1 time in total. Hello, i want to make a review about SciLor's grooveshark™.com Downloader. also i realy like the new populair songs button, but there are things to improve like the desing and some little bugs also maybe an option to add all search results to the download list?? maybe an option to check for 2 time the same song in result and filter the last one out?? if u have time then..
What a nice idea to give that game away, hope to get it. Due to me having the hd2, your mobile software was and is still interesting to me. The software I like to review is SciLor's WiMoBlue. That nice peace of software I like to use for fpsece to have a nice wireless controller for my hd2. It is real fun playing hogs of war or tekken. Keep going, hope to see more nice software!!! for me to continue my work on the go, But with the user-friendly interface of Wifi Penetrate all you have to do is enter in the SSID of the network you want access to, And use the generated password to connect to the wireless network you wish to join. And get this, It only took me a minute to find a network, generate a key & connect! So what are you waiting for? With it only being 3mb it should be customary to any wireless device! Not quite sure if my review was to be aimed from myself or a public view. But hope you liked it either way. Thank you for all your reviews, not quite many but better than none! Congratulations "itprotj" you will recieve a free steam key for DiRT2!